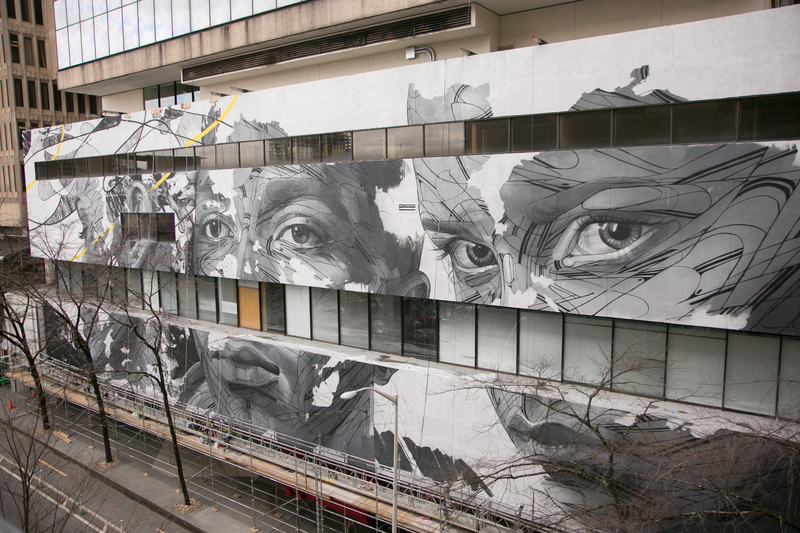 Have you seen Downtown Atlanta’s largest and latest mural? 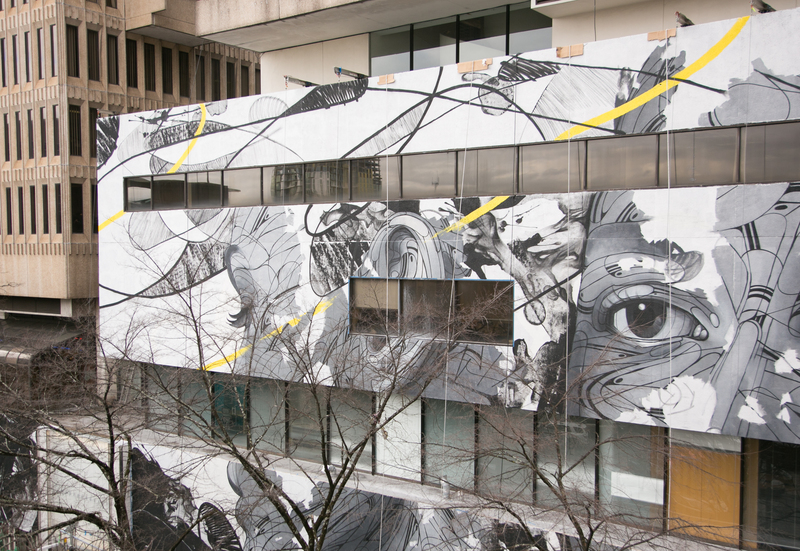 We partnered with International Corporate Art (ICArt) and Living Walls to bring a new contemporary public art mural to Downtown Atlanta! 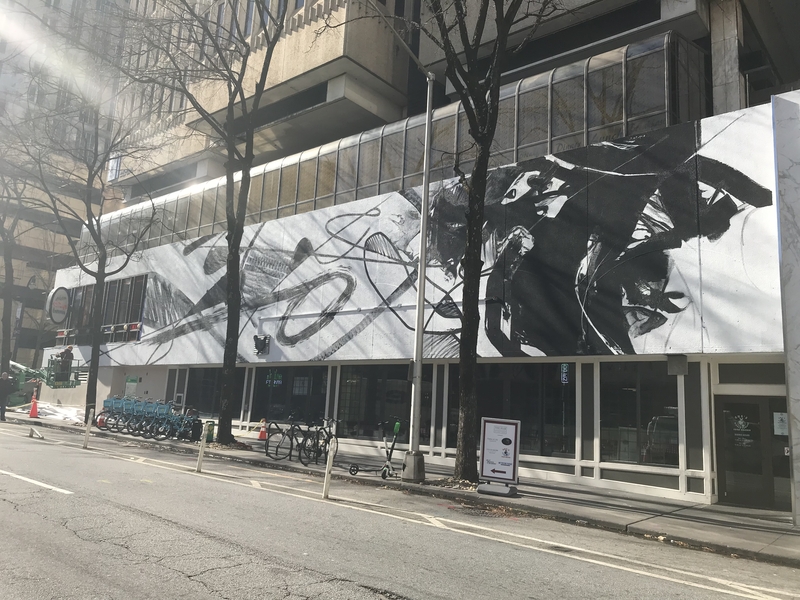 This beautiful art has completely transformed a massive section of the our facade along Peachtree Center Avenue and has created a space that will foster a sense of excitement and creative energy for years to come. 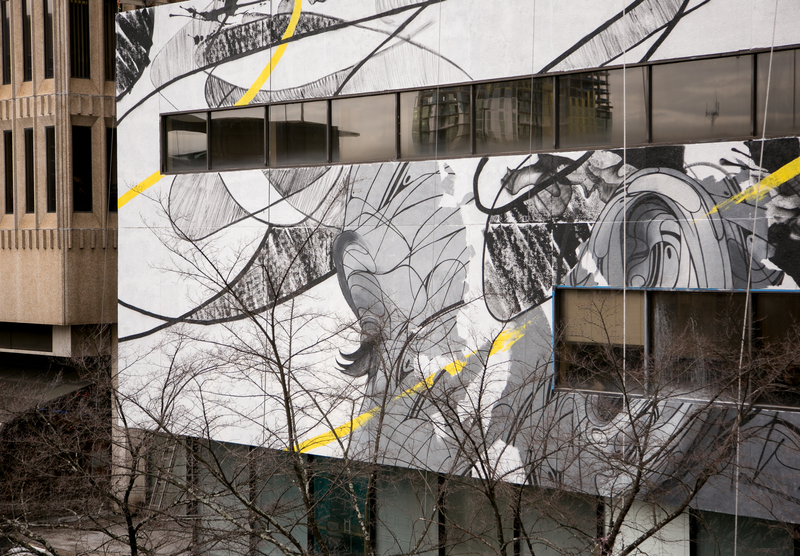 The new mural, titled “Symphony,” was designed and painted by Hopare, an acclaimed French street artist. 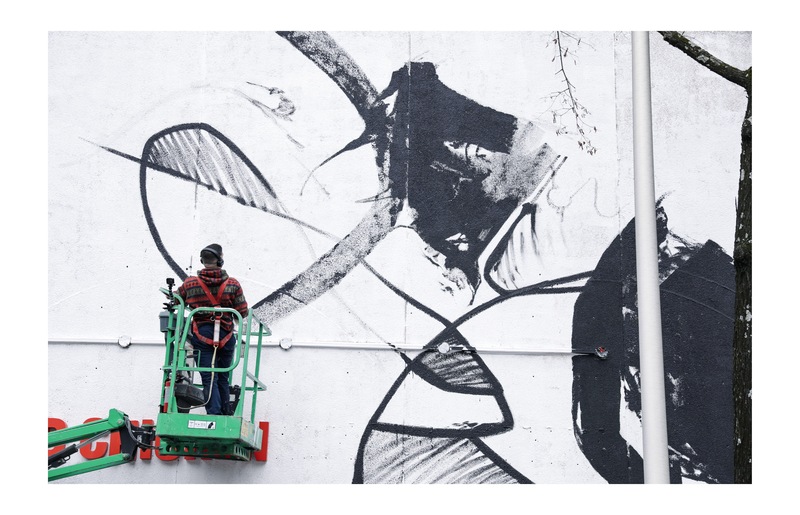 Symphony represents not only his first piece of public art in the Southeast but serves as his largest work of art ever. 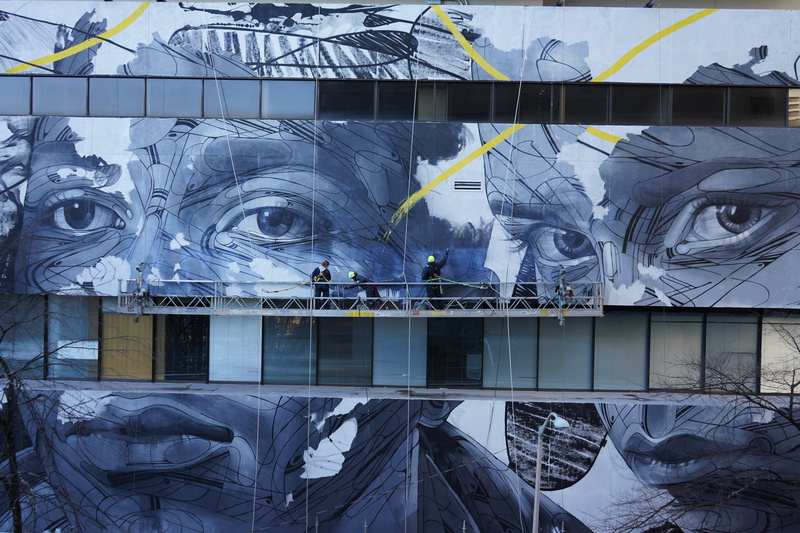 Also known as Alexandre Monteiro, Hopare is recognized for his distinctive approach to street art and graffiti, allowing him to connect with pedestrians and virtually transport them with his art. 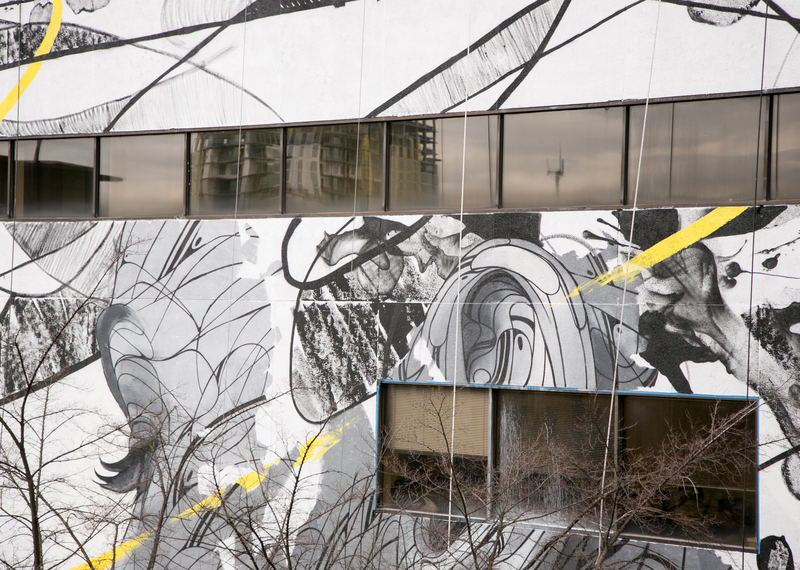 He is notably recognized for developing an interesting blend of figuration and abstraction through which he paints colorful work that dramatically contrasts the appearances of the streets. 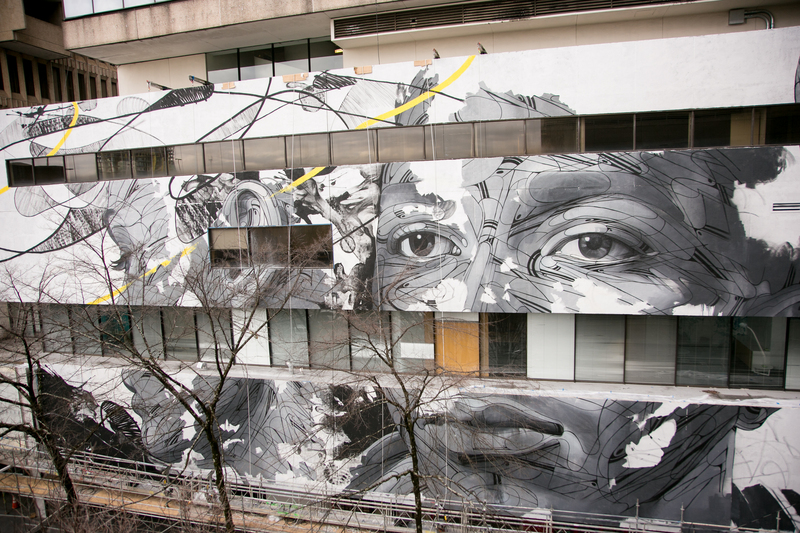 His murals can be found in prominent cities around the world, such as Paris, Venice and Montreal. 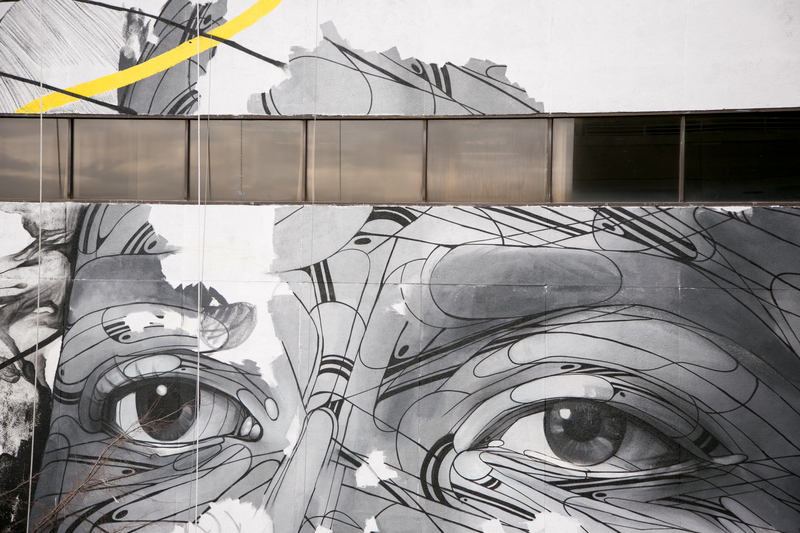 We’re encouraging everyone to share their experience with the mural using #symphonyatl on social media.